Public school students as young as 5 are being asked to consider their classroom experiences in surveys that will soon become one of the high-stakes measures used to evaluate teachers. The surveys – part of a pilot program – were administered to students in kindergarten through 12th grade for the first time in March in 18 schools and will be given to 82 schools next year, potentially multiple times. The Department of Education declined to release results from the March surveys, saying the data are still being analyzed. While some educators worry the surveys will reflect poorly on teachers who are strict or tough, the surveys’ developers say the questionnaires are research-based and have been found to be highly linked to teacher effectiveness. “We’re asking students about what they’re experiencing in the classroom. They’re not popularity questions,” said Rob Ramsdell, director of the Tripod Project which creates the surveys for dozens of school districts. “We have a lot of reason to believe that kids take it seriously and that the information we are getting is valuable.” he said. If you don’t understand something, my teacher explains it another way. In class, we learn to correct our mistakes. In our class, mistakes are ok if you tried your best. Students get to decide how activities are done in this class. My teacher wants me to explain my answers – why I think what I think. As a teacher, I would hope that I do these things. I would like to think that I explain things through different lenses and help my kids learn from their mistakes and learn that making mistakes IS learning. I like the use of the word ‘activities’ in the fourth statement. Once you have decided what your big idea and guiding questions are, the children should have input into the things they do (activities) that will help them best develop their understanding. When I read the last statement I laughed aloud at the thought of my kids answering that question as I feel like I constantly torture them with wanting to know why, why, WHY?! This class is neat – everything has a place and is easy to find. My teacher takes the time to summarize what we have learned each day. My teacher tells us what we are learning and why. My teacher makes me want to go to college. Most of these points make me feel that the kids are at the mercy of their teacher. Why can’t the kids summarize their learning each day? Why not ask the kids what they are learning and why they think they are learning it? I can see value in a teacher modeling this kind of thinking/dialogue, but I would expect it to come more from the children. A group of children who have been empowered by their teacher might score the teacher poorly on these factors when in actual fact, they should probably be scored off the scale. I love a neat room but learning is messy! And after listening to Mike Rowe speak about the need for a skilled workforce and the importance of vocational training at the Ed Sessions here in Boise, I wonder what message we are sending with a question that focuses solely on college? Why I would never want to score highly on ‘This class is neat’. If you know Marina, you will know that both of these findings are absurd. So, what did she do? She sat with her class, shared the results and asked them to clarify. The kids who were very capable and independent were the ones who thought she didn’t show she cared because she was “always” working with the other kids. The kids who viewed “learning” as sitting at your desk, working independently or with pen and paper, didn’t think they were learning as the classroom environment is more hands-on and inquiry driven. If you read her full post you will see that with this feedback, Marina was able to make a few tweaks to the way she interacted with her kids and all was well again. I wonder if teachers would be given the chance to investigate the ‘why’ behind a poor score? I wonder if kids would read (interpret) the question correctly? I like the idea of gathering student feedback, be it by way of the MET_Project_Elementary_Student_Survey or the less formal tool that Marina used. I know when I get feedback – especially the stuff I don’t like to hear – it makes me take a look at why people may have said that. Sure, some of it comes down to personality, but what else? Is there something I am doing or not doing? What works? What doesn’t? Seth talked a lot about the importance of getting feedback. Look at Trip Advisor. The whole purpose of that site is for travelers to provide feedback on their experience. Travelers can gain valuable insights from their fellow explorers. Service providers can hear the good, the bad and the ugly from those who choose to use their services and amenities. Rankings are established over a period of time to give honest feedback and reputations are built or battered down as a result. Those who offer feedback are rewarded with status titles for taking the time to share their thoughts more regularly than others. Your commenting history is visible so people can see the breadth of your opinion – are you always negative? overly positive? fair? Imagine if Trip Advisor was only open for comments on one day a year. Or even four days a year. Would you be happy to form an opinion about a hotel or attraction based solely on how people were feeling on that one day? What if, instead of these surveys, we opened ourselves up to constant feedback, Trip Advisor style? I think it would be pretty easy to do. 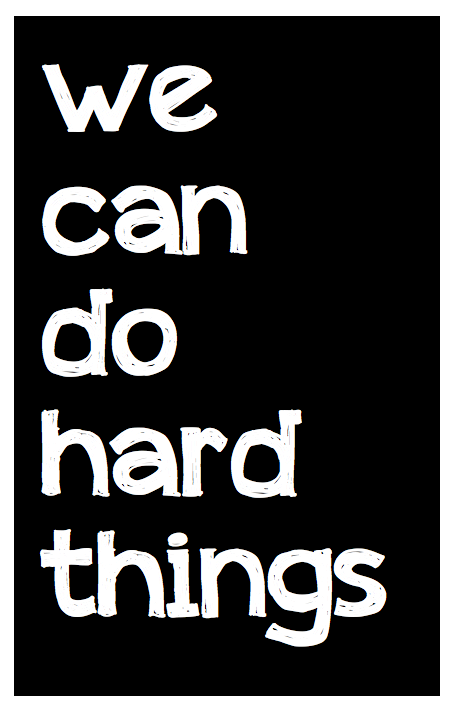 And incredibly hard. Every year we rate and give feedback to the director of our school and he shares that information with the staff. It is always interesting. In the past it has been anonymous. He has now requested that we put our name on the survey as he says he would like to be able have discussions with people about what they have said. After three years of working with him, I would absolutely agree to writing my name as I trust that he will take my comments seriously and be open to a one on one honest and clarifying discussion; one that would probably not take place with the entire staff. Hence, the survey would become more powerful, more personal and create opportunities for change on an individual basis. If someone interpreted a question differently than was intended, it would be clarified. Be fearless, put your name on the feedback form! I like the idea of a Class Advisory open feedback site. I love that director does the survey AND discusses results. I have seen people “hide” behind anonymity in a way that is more destructive than productive – I think your point about having built a trusting relationship to engage in that dialog is an important one. I also like the idea of a Class Advisory open feedback site. I have some thoughts brewing on this….